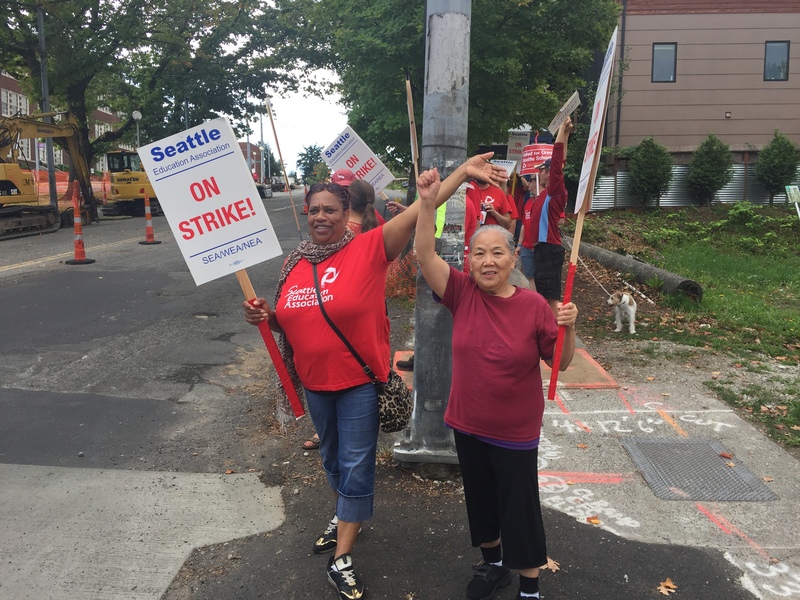 The first day of the strike by Seattle’s teachers and educational support staff was incredible. The solidarity from the community was truly inspirational, and the spirits of the educators are high. 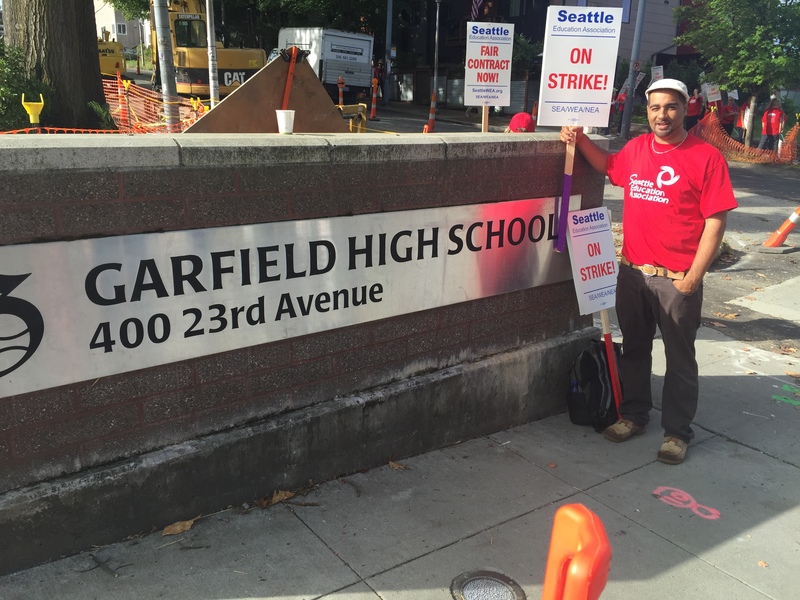 Teachers at the picket line at Garfield High School were especially proud to have played a roll in launching the rebellion against high-stakes testing that the union is taking up so strongly in the current contract negotiations. Keep up the great work. If I lived in the area, I’d be there with you. 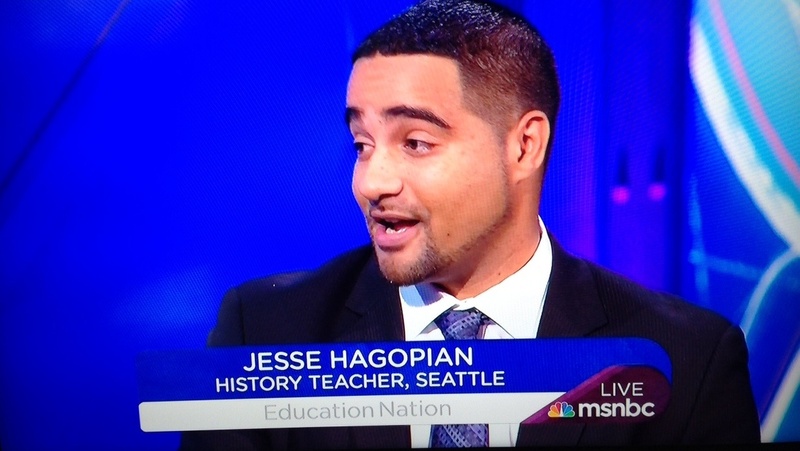 The Seattle teachers are courageous in striking. Newark, NJ teachers haven’t been able to do so under state takeover. They would lose job and certification; district would hire TFAs. News interview gave you 8 minutes; that’s amazing.